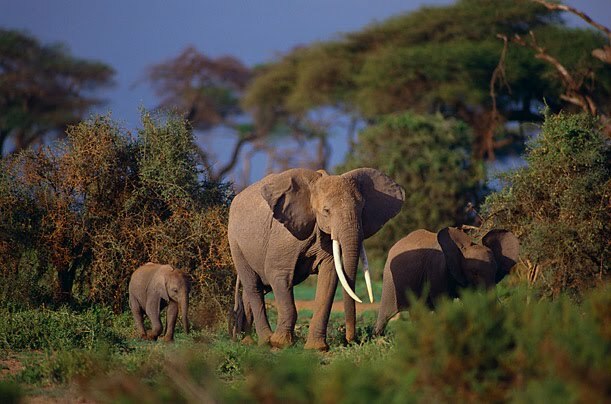 The largest land mammal also has the longest pregnancy among mammals, averaging a staggering 22 months. Elephants usually give birth to one calf, who will rely on the mother's milk for four to six years. One would think that years of devotion to her calf and the protection of the herd would lead to a healthy adult elephant, but in reality, very few calves live to adulthood. Successfully raising a chick is a truly remarkable accomplishment for this mom and dad. 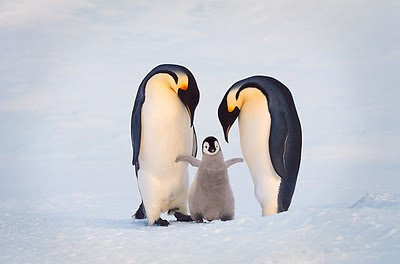 Courtship for a typical couple starts in March and April, when temperatures in the Antarctic are about –40°F (–40°C). Emperor penguins are serial monogamists and will wait for their previous year's mate before breeding again. The female produces one egg and leaves it in the care of its father while she makes the nearly 74-mile (119 km) journey back to sea to capture the fish she will need for feeding. Upon returning to the nesting site, she must relocate her mate and chick. Then the pair switch roles, Mom caring for the offspring while Dad makes the same long journey to the ocean and back for food. Help out these amazing moms through the World Wildlife Fund.